"CH77SD" CUSTOM STAINED AND LEADED GLASS VERTICAL BEVEL SIDELIGHT WINDOW CUSTOM AT GLASS BY DESIGN. This vertical sidelight window had a CH77 gluechip bevel set. 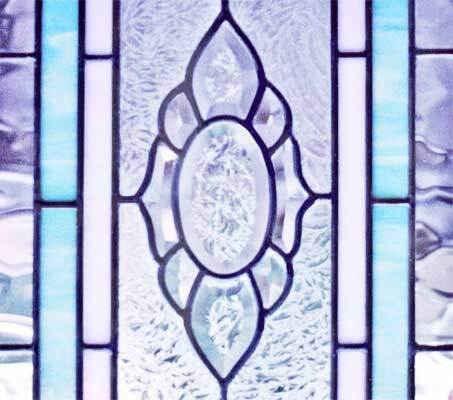 This sidelight had a Flemish border, a light aqua, and a pale pink border.